At the moment my skincare routine is all about facial oils and serums and I can't ever imagine not using them, as they make such a positive difference to my skin. 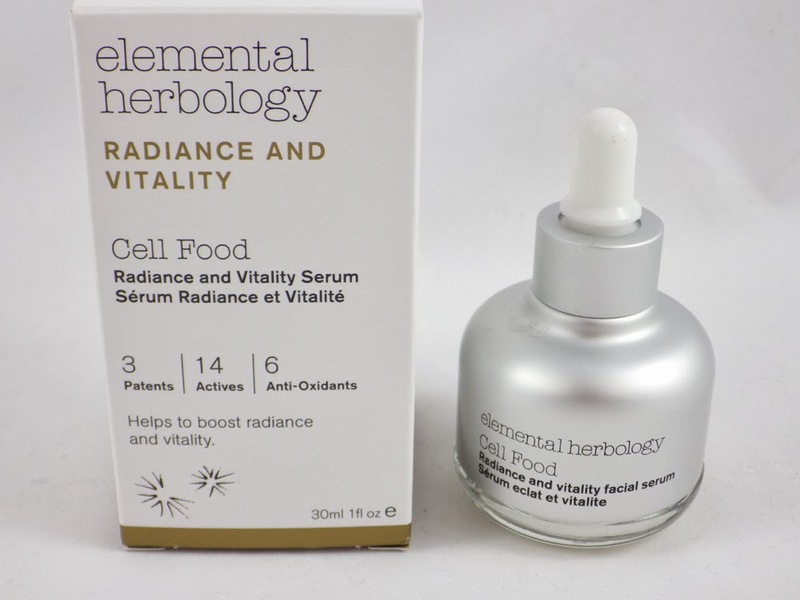 The latest serum to join my ever growing collection is the Elemental Herbology Cell Food Serum, which targets the radiance and vitality of your skin. Elemental Herbology say, "Containing a ‘power house’ of proteins, vitamins and anti-oxidants, Cell Food is an essential addition to any skincare regime. Ideal for dull, under-nourished skin and frequent travellers". The Elemental Herbology Cell Food Serum boasts 3 patents and contains a range of active ingredients and anti-oxidants, which includes Green Tea, Co-Enzyme Q10, Mandarin Orange Peel Oil, Aloe Leaf Juice and Rose Damask water. Initially I was a little concerned as one of the ingredients listed is Alcohol. However this is at least 3/4 of the way down the ingredients list, which means the quantity of Alcohol included is quite low compared to the more natural ingredients like the ones listed above. It costs £45.00 for 30ml. The Cell Food Serum is dispensed using a pipette, which is really easy to use. The formula of the serum is a thin, milky, white coloured liquid, which has a strong herbal scent. After massaging the serum in, my skin does feel a little tacky, however this disappears once it has fully absorbed, which doesn't take long at all. I am so, so impressed with this serum as I can actually see the effect of it on my skin with minutes; my skin just looks brighter, healthier and as promised, radiant. This has certainly woken me up to how dull my skin can actually be. Yet it is extremely hydrating and is the perfect prep before I moisturise. I'm also pleased to report that the Cell Food Serum doesn't cause any breakouts or blemishes. 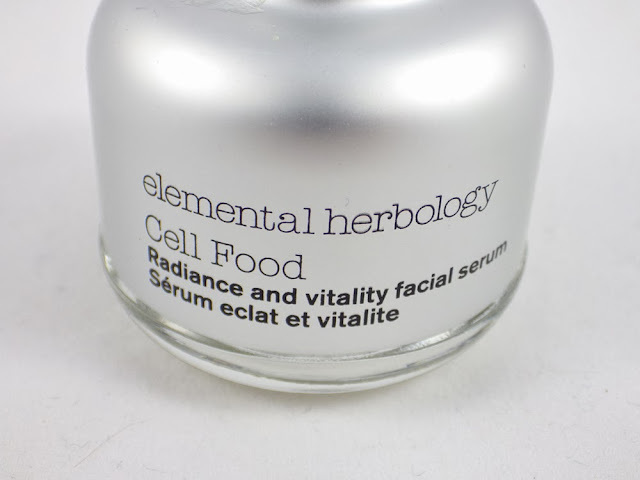 The Elemental Herbology Cell Food Serum really delivers on all its promises, which makes it well worth the £45.00 price tag. If you're in desperate need of hydration and radiance, then you really need this serum in your collection; I know it will stay in mine for a long time to come! Have you tried the Elemental Herbology Cell Food Serum? What products do you like to use to boost your skin's radiance? P.S. This post contains a PR sample. This does not affect my opinon of the product. I have been lusting after this for ages.